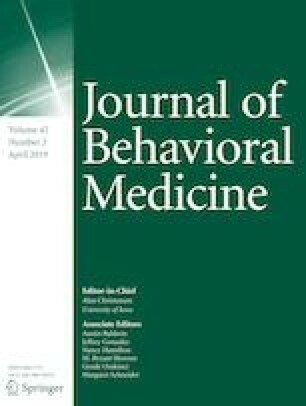 Ambivalent social ties, i.e., whereby a relationship is evaluated simultaneously in positive and negative terms, are a potential source of distress and can perturb health-relevant biological functions. Social interactions at the workplace, in particular with supervisors, are often described in ambivalent terms, but the psychological and psychobiological impact of such interactions has received little scientific attention. The current study examined associations between ambivalent attitudes towards one’s supervisor, perceived distress (general and work-related), and diurnal dynamics of the stress hormone cortisol. 613 employees evaluated their supervisor in terms of positive and negative behaviors, which was combined into an ambivalent index. Higher ambivalence was associated with higher perceived distress and work-related stress (p < .001), and with a larger cortisol awakening response and higher day-time secretion post-awakening (p < .01). The present study is the first to identify ambivalence towards supervisors as a predictor of employee distress and stress-related endocrine dysregulation. In consequence, focusing solely on positive or negative leader behavior may insufficiently capture the true complexity of workplace interactions and attempts to compensate negative behaviors with positive are unlikely to reduce distress—but quite the opposite—by increasing ambivalence. The authors Raphael M. Herr, Frenk Van Harreveld, Bert N. Uchino, Wendy C. Birmingham, Adrian Loerbroks and Jos A. Bosch declare that they have no conflict of interest. Joachim E. Fischer has received royalties for lectures regarding occupational health from various companies and public agents. Until 2012, Joachim E. Fischer was the CEO and a major share-holder of Health Vision GmbH. All procedures performed in studies involving human participants were in accordance with the ethical standards of the institutional and/or national research committee and with the 1964 Helsinki declaration and its later amendments or comparable ethical standards. The ethics committee of the Manheim Medical Faculty at Heidelberg University approved this study’s materials and procedures (2007-009E-MA). Informed consent was obtained from all individual participants included in the study. The direct supervisor lets you know how well you did your work. The direct supervisor helps me with completing the tasks. The direct supervisor shows interest in the well-being of employees. You can easily have access to your direct supervisor. The direct supervisor pays attention to my opinion. If a mistake is made, the supervisor puts all the blame on us, never on himself/herself. The direct supervisor makes carrying out work difficult through instructions s/he provides. The direct supervisor treats you unfairly.